Physical exercise can hep you improve your health, relieve stress, reduce depression, provide a sense of accomplishment, and produce a “runner’s high”. Over the years I practiced mixed martial arts, went to the gym, trained with a personal fitness trainer, and took various exercise classes. Nowadays, I use my own bodyweight to maintain physical and mental fitness. Yes, physical exercise also has a strong positive influence on your brain. Why bodyweight exercise? Simplicity – all you need is your own body. Mobility – you can do these exercise anywhere. Time – just change your clothes and start moving. Challenge – some exercises can really push you out of your comfort zone. Money – you only have to buy the video program once. Exercise is associated with fun and enjoyment. Think about children who exercise spontaneously, they run and jump and chase, and they do so simply because it is fun. If you’ll find the right type of physical exercise, you’ll be motivated by your intrinsic motivation (I want to do it) rather than by your extrinsic motivation (I have to do it). Losing extra body fat or gaining muscles are worthy goals as long as you do it for yourself and not for somebody else. Remember, self-set goals and personal effort will get you further than any program that promises to do all the hard work for you. I often hear people saying things like “my wife wants me to lose weight” or “my doctor told me that I should exercise more” but these are not examples of self-set goals. Real and long-term changes come from within, which is why it is important for you to get your purpose and motivation setup properly before you start exercising. Strive for achievement and a standard of excellence. You can set your own best time or number of repetitions and try to beat it. Experience satisfaction from a job well done. As you make progress, you will feel more competent and more effective. An emotional kick. Vigorous jogging can produce a runner’s high. Relieve stress, silence depression, and gain person control over your emotional state. After a stressful day, you can jump into your favorite exercise even if you don’t feel motivated. After about 10-15 minutes, your mood will change and you will gain more energy. Hangout with like minded friends who can help you get to the next level. Exercise can also be a social event, a time simply to enjoy hanging out with friends and push each other. Sometimes, it helps to watch other people go through challenges and accomplish meaningful goals to get motivated to start making changes yourself. By surrounding yourself with like-minded people or watching others exercise you can become inspired to do the same. Equipment needed: your body wight and a set of good resistance bands. Here is a list of bodyweight physical exercises that I personal use(d). I have not affiliation with any of the products listed below. 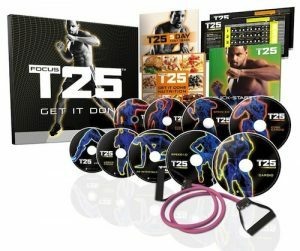 Tony Horton’s back with P90X3, his newest P90X system designed to get you ripped in just 30 minutes a day thanks to his Muscle Acceleration system. P90X3 combines a highly structured, plateau-busting schedule with an unprecedented variety of moves that keep every muscle challenged for 30 minutes of full-throttle intensity that leaves any other workout in the dust. With P90X3, it’s a whole workout in half the time. 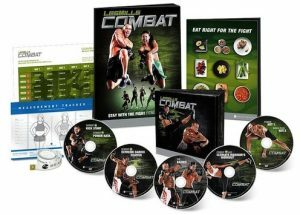 LES MILLS COMBAT is the ultimate mixed martial arts-inspired workout program! Get ready to punch, kick, block, and strike your way to an outrageously shredded body with 7 calorie-blasting and muscle-defining workouts. If you love P90X® and you’re saying, “Give me more,” or, “I need a challenge”-then here it is, the P90X Plus Series. Tony amps up the Muscle Confusion with BRAND-NEW MOVES and never-before-seen workouts all set to hot music created exclusively for P90X Plus by Jason Scheff, lead singer of the band Chicago! The NEW P90X Plus will break through plateaus with intense new cardio, muscle chiseling, and ab/core-ripping moves to ramp up your results. Adding these new advanced workouts into your P90X rotation will literally TAKE YOUR WORKOUT TO THE NEXT LEVEL and create workout combinations beyond your imagination. Trust me, it doesn’t get better than this.